MAF auditors has extensive experience in the revision of subsidies granted by the European Commission, having actively participated since the year 2008 in the inspections entrusted by the European Union to an international consortium of audit firms Belonging to the World PRIME Global Association of which we are a part. From 2008 MAF auditors as a member of the International Association of Audit and accounting firms Polaris International (currently Prime Global), has conducted more than 50 financial audits of research and development projects (R &amp; D), executed By universities, town halls, research centres and other entities, both public and private, subsidized by the European Commission’s Sixth Framework Programme (FP6). Since 2009 MAF auditors as a member of the European Consortium of auditing firms, led by the English company LITTLEJOHN LLP, has carried out on behalf of DG ECHO (Directorate-General for Development cooperation and Civil protection) of the European Commission the Audit of humanitarian projects undertaken by all the Spanish NGOs participating in DG ECHO programmes. Fuel cells and hydrogen JOINT UNDERTAKING (European Commission research and Development programme specializing in fuel cell and hydrogen innovation). The projects reviewed so far are framed in the programmes, sponsored by the bodies previously indicated by the European Commission. TEMPUS is the European Union’s programme which supports the modernisation of higher education in the European Union, and some neighbouring countries. TEMPUS promotes institutional cooperation that involves the European Union and Partner Countries and focuses on the reform and modernisation of higher education systems in the Partner Countries of Eastern Europe, Central Asia, the Western Balkans and the Mediterranean region. The European Commission’s Lifelong Learning Programme enable people, at any stage of their life, to take part in stimulating learning experiences, as well as developing education and training across Europe. Celebrated its25th anniversary in 2012, Erasmus is the most successful student exchange programme in the world. Each year, more than 230 000 students study abroad thanks to the Erasmus programme. It also offers the opportunity for student placements in enterprises, university staff teaching and training, and it funds cooperation projects between higher education institutions across Europe. The COMENIUS Programme focuses on all levels of school education, from pre-school and primary to secondary schools. It is relevant for everyone involved in school education: mainly pupils and teachers but also local authorities, representatives of parents’ associations, non-government organisations, teacher training institutes and universities. It replaces the MEDIA programme. It supports the EU film and audiovisual industries financially in the development, distribution and promotion of their work. For 2014, three new financial instruments for supporting film literacy, international co-productions and video games will be launched. The Information and Communication Technologies Policy Support Programme (ICT-PSP) aims at stimulating a wider uptake of innovative ICT based services and the exploitation of digital content across Europe by citizens, governments and business, in particular SMEs, with a budget of € 728 million. This technologies support programme aim at intensifying the public investment in ICT. It will build on the lessons learned from the eTen, eContent and MODINIS programmes whilst improving synergies between them and improving their impact. The CIP will support actions to develop the single European information space and will aim to stimulate innovation through a wider adoption of and investment in ICTs to develop an exclusive information society, more efficient and effective services in areas of public interest and to improve quality of life. With about € 730 million of funds available between 2007 and 2013, the Intelligent Energy Europe Programme (IEE) will help deliver on the ambitious climate change and energy targets that the EU has set for itself. Training on new construction techniques that can lead to 50 per cent or more energy savings compared with traditional buildings. 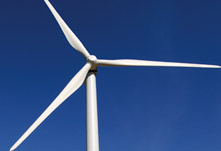 Improving the effectiveness of support schemes for electricity generation from renewable energy sources across Europe. 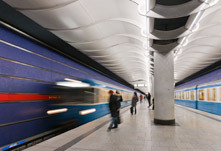 Helping Europe’s cities to develop more energy-efficient and cleaner transport. The Sixth Framework Programme for Research and Technological Development (FP6), which was in force from 2002 to 2006, has now been superseded by the Seventh Framework Programme (FP7), for the period 2007 to 2013. 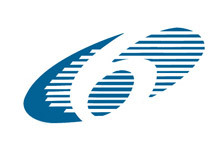 As its name implies, the FP6 was the overall framework for the EU’s activities in the field of science, research and innovation in the 2002-2006 period. Its principal objective was to contribute to the creation of a genuine European Research Area (ERA) by fostering more integration and coordination in Europe’s previously fragmented research sector. The European Union is one of the largest donors of humanitarian aid in the world. 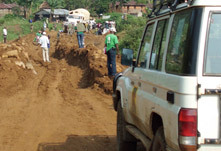 The European Community Humanitarian Office (ECHO) was created in 1992 as an expression of the European solidarity with people in need all around the world. Since its creation 20 years ago, ECHO has helped millions of crisis victims in more than 140 countries hit by natural disasters and man-made crisis. It has provided emergency assistance and relief to the most vulnerable people in the most dangerous conflicts and disaster-prone regions. the International Organisation for Migration. In partnership with these humanitarian organisations, ECHO has a very fast response capacity allowing funding and staff to be rapidly deployed to where help is most needed. Since 2009, MAF Auditores leads in Spain the contract with the European Commission auditing development cooperation projects in our country, having performed in the name of ECHO, more than 16 audits of the main Spanish NGOs, more than 76 reviews of projects, both in their headquarters and in the geographical locations where the projects are taking place (mainly in Latin America). On the other hand, since 2010, MAF AUDITORES participates as expert in training seminaries and courses given by DG ECHO and aimed at the Spanish NGOs, held in our country and, also, in international panels focused on this area. The general objectives of TEN-T EA agree with the objective of the Commission to modernise the transport infrastructures and their financing. They are based on the specific tasks that the Commission delegated to the Agency in the instrument its establishment and in the delegation act. The TEN-T EA offers an efficient Trans-European transport network which benefits the European citizenship, making transport more efficient and ecological, and at the same time, it strengthens economic and social cohesion across the continent. The programme aims at increasing energy (electricity and gas) interconnections, interoperability and the development of the Trans-European energy transport networks, which are essential for the proper operation of the energy internal market particularly, and the internal market in general. Users must have access to higher quality services, and a wider offer as a result of the diversification of energy sources at more competitive prices. Domestic markets and EU markets should be, therefore, more closely connected. Having these principles in mind, the new Member States of Europe are totally integrated in the approach of the TEN-E community. With small and medium-sized enterprises (SMEs) as its main target, this programme supports innovation activities (including eco-innovation); it encourages a better take-up and use of information and communication technologies (ICT), and promotes the use of renewable energies and energy efficiency; providing in order to achieve it, better access to finance and delivering business support services in their regions. The Entrepreneurship and Innovation Programme (EIP). The Information Communication Technologies Policy Support Programme (ICT-PSP). The Intelligent Energy Europe Programme (IEE). The programme, with a budget of € 2 166 million, will support horizontal activities in order to improve, stimulate and promote enterprise innovation (including technological innovation). It would include the promotion of sectoral innovation, clusters, public-private innovation partnerships and innovation management at regional level; particularly for the trans-national knowledge and technology transfer, and the management of industrial and intellectual property rights. From January 2014, CIP will be replaced by the Programme for the Competitiveness of Enterprises and Small and Medium-sized Enterprises (COSME), which will run until 2020.